With endless color choices, Christmas fabric buntings are an excellent way to add color and texture to a room, the easy and quick way. Make your own DIY Christmas bunting in just a few steps with this easy fabric bunting tutorial. This simple and super quick fabric bunting is cute enough to spruce up any room for any occasion but I’m particularly fond to these at Christmas! I don’t normally like home decor on my walls as I’m super minimalist but Christmas is contagious, can’t help but to decorate anything in sight! I have this little empty corner in my living room, where I try to grow a ficus plant. The plant looks quite lonely over there and I thought I would make something cute to keep it company. And what’s best than a little Christmasy fabric bunting? This DIY fabric bunting is also an excellent way to find a good use for all those fabric scraps I keep stashing! 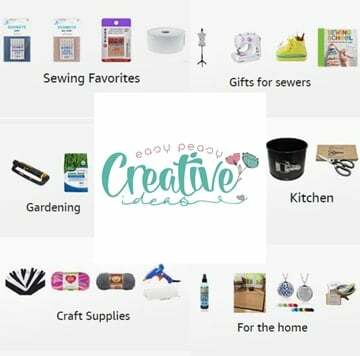 This Christmas bunting is a great beginner sewer project since it’s super-easy and no complicated skills are involved! And it looks very pretty hanging on walls, in trees or even on a fence. 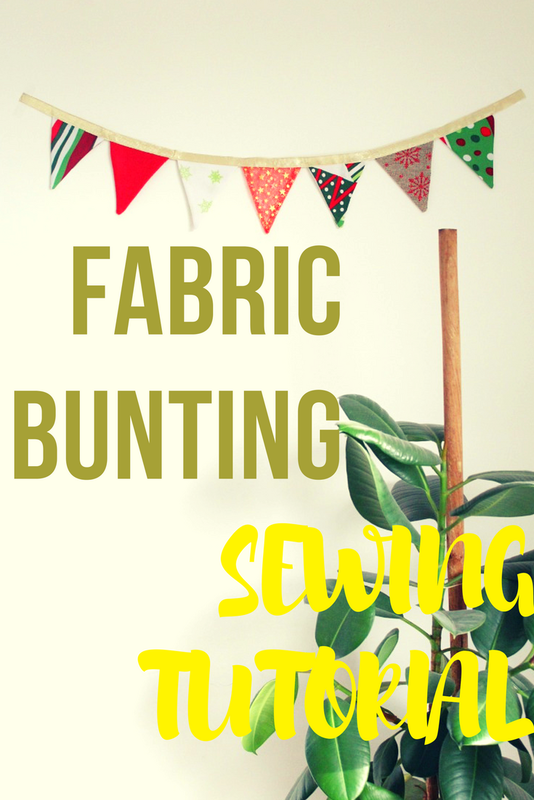 If you’ve ever wondered how to make fabric bunting, now is the perfect time to learn and make a couple for yourself or even give these as gifts. 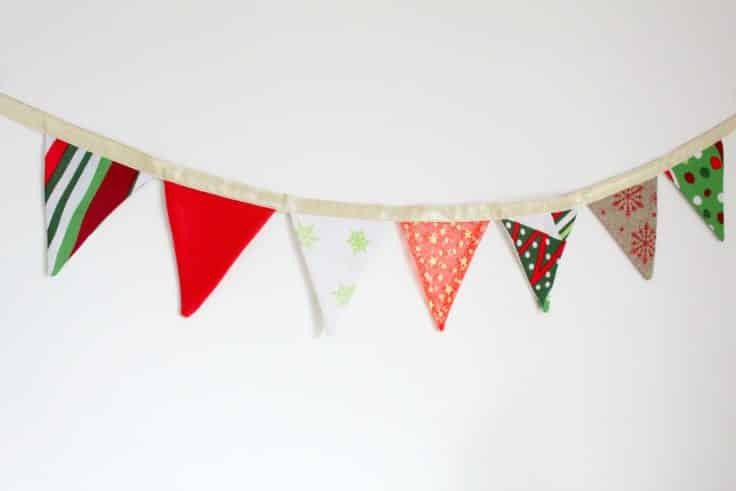 Celebrate the Christmas with a quick and easy last minute holiday fabric bunting! Make your own bunting in no time before the guests arrive if you host a party and you’re not quite finished decorating! Just in time for Christmas! The template is available to purchase here or get it free when you join my sewing newsletter!